I was disappointed to come across this article today. We’ve covered this topic before. The guy in the piece was caught by the cops in a casino – of all places. Way to get snagged with your hand in the cookie jar, scumbag. In a nutshell – Michael Burley, the suspect, seemed to have some right of access to the units he was showing to prospective tenants – through advertising on Craig’s List. Through the course of his blatant misrepresentation as the landlord, he’d accept their damage deposits, with the intent it seems, of hitting the slots. 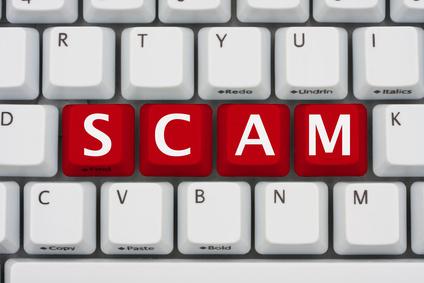 The Canadian Anti-Fraud Centre said online apartment scams are common, particularly ones in which supposed owners on an extended vacation look for renters. We covered this in a previous post. The phony owners claim they care about a good renter more than money and advertise places well below their value. They convince people to send a damage deposit to a foreign country, promising the keys will be couriered upon payment. Here’s the kicker. The people who do this, usually duplicate legitimate ads by legitimate landlords looking for tenants. Victims can usually be the elderly and students. Police said to avoid such scams people need to get identification from the person renting the property, avoid using wire transfer services to pay supposed landlords, and to never rent an apartment without seeing it.